One other way to decorate with Christmas ball ornaments is simply to display them. If you have leftover ornaments that didn't fit on The Tree or you simply have way too many, display them beautifully. This looks great at home and in the office setting! And it is so simple and easy to achieve. 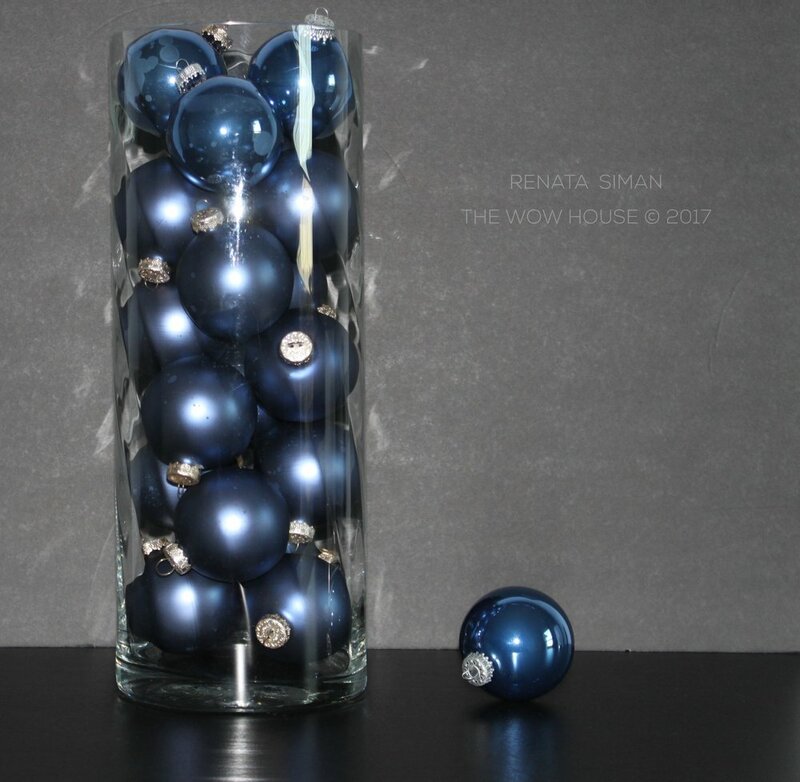 To create an elegant display of holiday ball ornaments you can either go solid or mix the colors. Choose a clear container - glass preferred because it adds to the shimmer of the entire look. Choose a tall cylinder-shaped vase or a bowl like I did here. Again, the larger the better. A pudding bowl on a stand would look very nice, too! Display the ornament-filled vases and bowls on your mantel, credenza, dining room table. Again, possibilities are endless. Happy decorating!